In this romantic comedy, a young woman falls in love with a handsome prince while also having to deal with the problems caused by her nasty stepmother and stepsisters. This twist on the Cinderella story makes the young woman much more capable of dealing with her troubles on her own. Drew Barrymore stars. 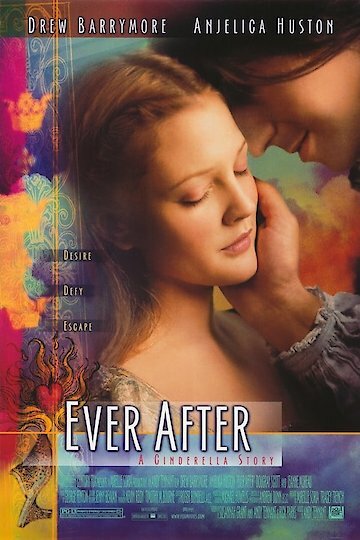 Ever After: A Cinderella Story is currently available to watch and stream, buy on demand at Amazon, Vudu, Google Play, FandangoNow, iTunes, YouTube VOD online.